The Stainless Steel Mosaic (Matte) feature tile is a sleek and sophisticated mosaic which is suitable for use as a feature wall tile in indoor applications. Available in a stunning matte finish, it mimics the look of stainless steel and offers a luxurious look and feel. 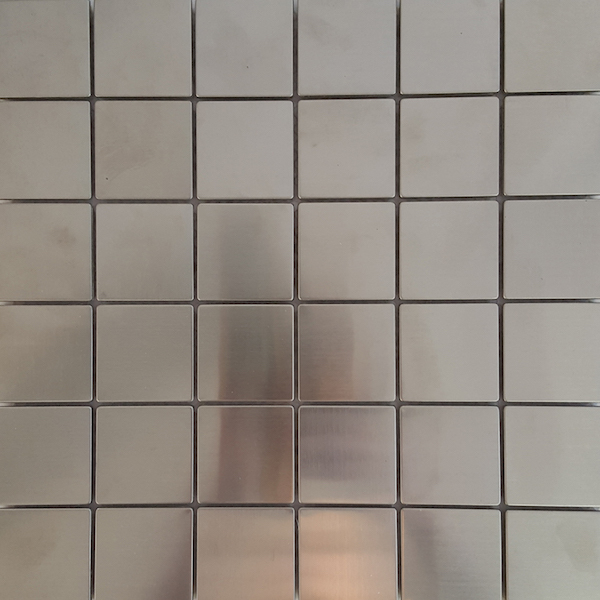 The Stainless Steel Mosaic (Matte) feature tile measures 100x100x8mm in dimensions and is sold per piece. A sheet of this tile measures 304x304mm and 10.8 sheets make up a square metre. Experience the perfect mix of style and versatility with this feature tile. The matte finish complements both traditional as well as modern settings and will transform any area it is used in. For a feature tile, the Stainless Steel Mosaic (Matte) exhibits the qualities of a superior grade product. Due to high-quality manufacturing, it offers longevity and will retain its elegant matte finish even several years after installation. 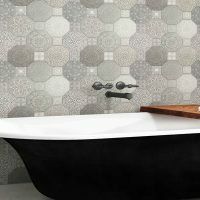 When it comes to finding a sleek and sophisticated feature mosaic, you’ll find nothing better than the Stainless Steel Mosaic (Matte) available at Ross’s Discount Home Centre in Perth. Shop from our online store today to purchase this tile at the best possible price!